I had been using my Nicholson bench for a while without any work-holding devices other than the planning stop and holdfasts. I was having a fair amount of trouble sawing on the ends of boards for dovetails and tenons, and edge planing wide boards. 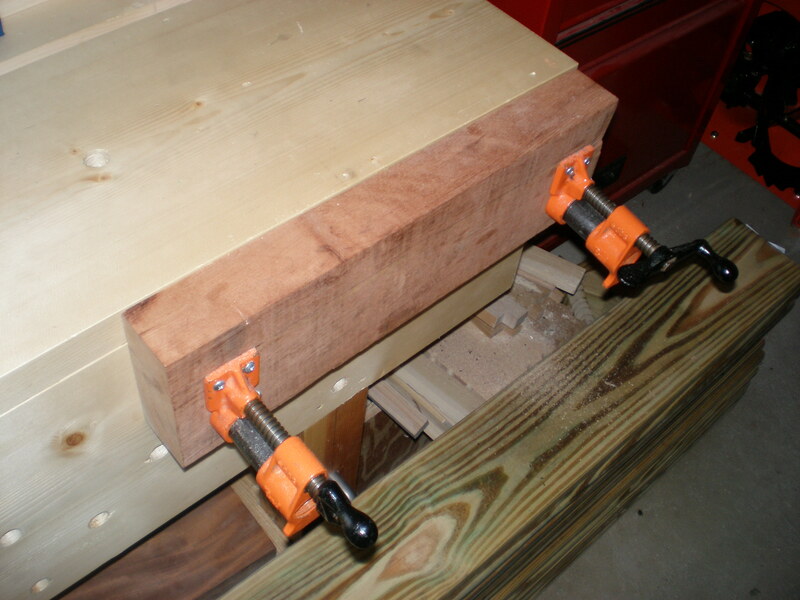 I used the method of clamping the workpiece to the front apron of the bench using a couple of holdfasts. The only way this would work was to drive the heck out of the holdfasts into the bench. 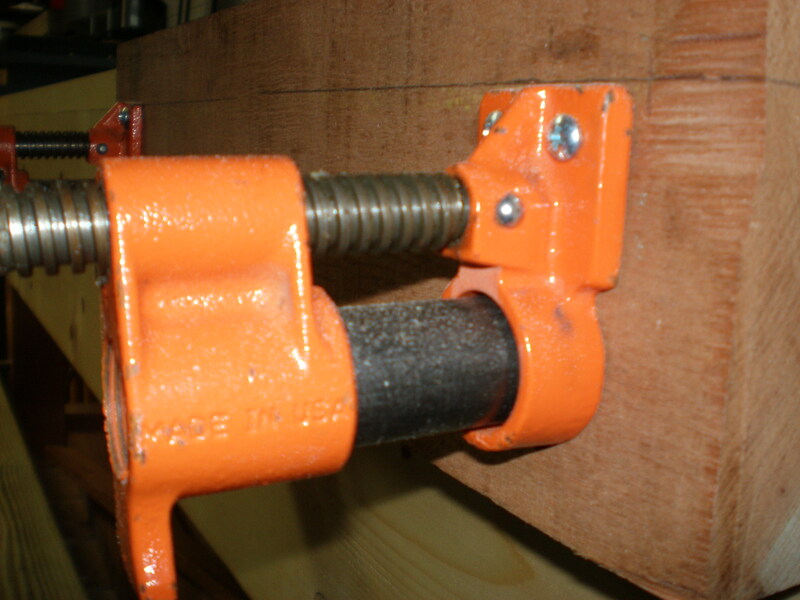 The clamping pressure needs to be sufficient to overcome the force of sawing…especially when sawing tenons. I was seeing the same issue when planing edges…the holdfast would loosen and the work would slide or fall. The first addition is a crochet, or hook attached to the front apron to aid edge planning. I had no specific plan to follow, just an idea and a picture of what the hook should look like. I wasn’t, and still am not, sure how much the angle or size of the hook matters…perhaps someone will research it someday. I had a little bit of stock left over from the leg cut-offs from the bench build. It seemed like it would make a good solid hook…it measures 3″ x 3″ x something. I planed it flat and square and sketched the shape of the hook on the top face. I just eyeballed what I felt looked like it would work. I cut the curve out with a rip saw and coping saw, then used a rasp and file to round out what I had mangled. 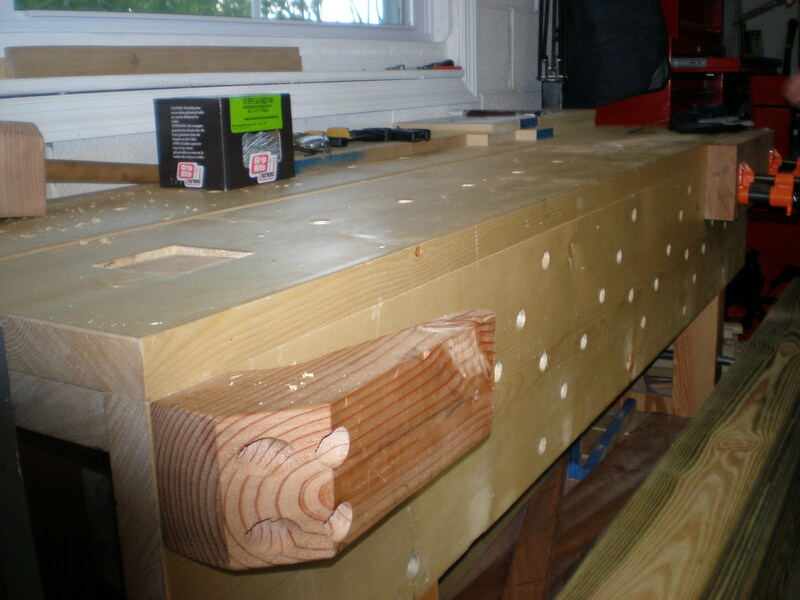 Before I cut the curve on the outside of the hook, I drilled out the holes for the lag bolts to attach to the bench. Then after attaching the hook to the bench, I cut an angle off the front corner…I decided this looked good enough and ditched the curve idea. The end result is a huge improvement over the old holdfa st method I was using. 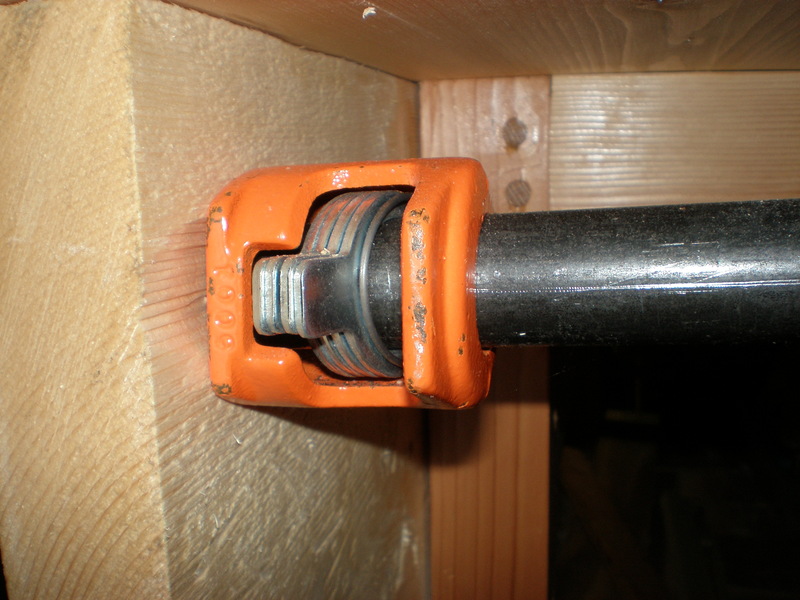 The hook is solid, and holds various thickness of lumber up to 12/4. It’s much faster too…when I finish the edge of a board, I just pick it up and put the next one in…no fussing around with holdfasts. The only issue I found was that I needed to add one more holdfast hole. 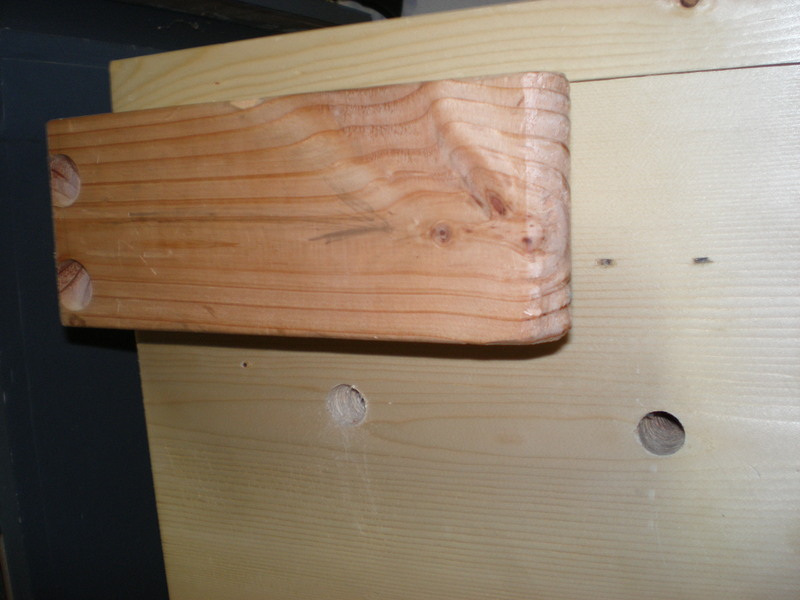 The boards need to be supported along their entire length, and the holdfast hole I had wasn’t close enough to the hook. The boar d would tip down toward the floor as I planed toward the hook. Therefore, I added one more hole just underneath the hook. 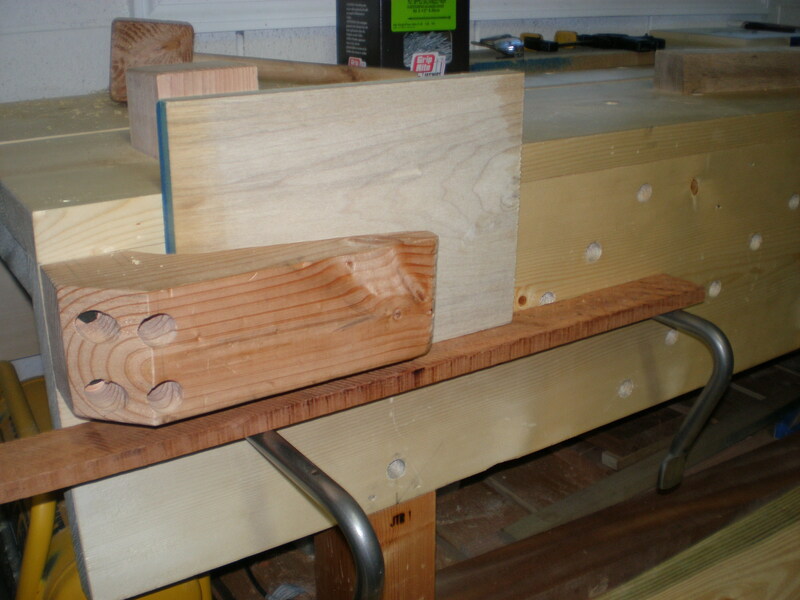 The second addition was an adaptation of the Moxon vise. Apparently this puppy is all the rage these days. I wasn’t buying into all the hype until I realize how difficult it is to make accurate joinery when your holdfasts slip. I wanted to build one of these awesome Benchcrafted Moxon vises, but I didn’t want to drop a lot of cash. After staring at my bench for a couple of days, it hit me. I figured, why complicate things, just attach a board to the front of the bench that moves in and out with enough strength to get the job done. I had an 8/4 piece of scrap that I pick up from another woodworker who was going to burn it. I was saving it for some special project, someday. Well, this was someday…it was the perfect length (around 24″) for the type of work I would be doing, and it was thick…which to me, means strong. My next challenge was to figure out how to attach it to the front apron and make it move like the Moxon vise. The only straight stong bars I had in the shop were my black iron pipes used for pipe clamps. If I could attach the black pipe using my Jorgensen pipe clamp set to the piece of scrap it might just work…basically like clamping up a glue joint…simple. I drilled the holes for the pipe and temporarily attache d the clamp set to each pipe. Then I checked the fit for feasibility…and it worked. I went a step further and purchased a couple 18″ black pipes to fit the width of my bench. 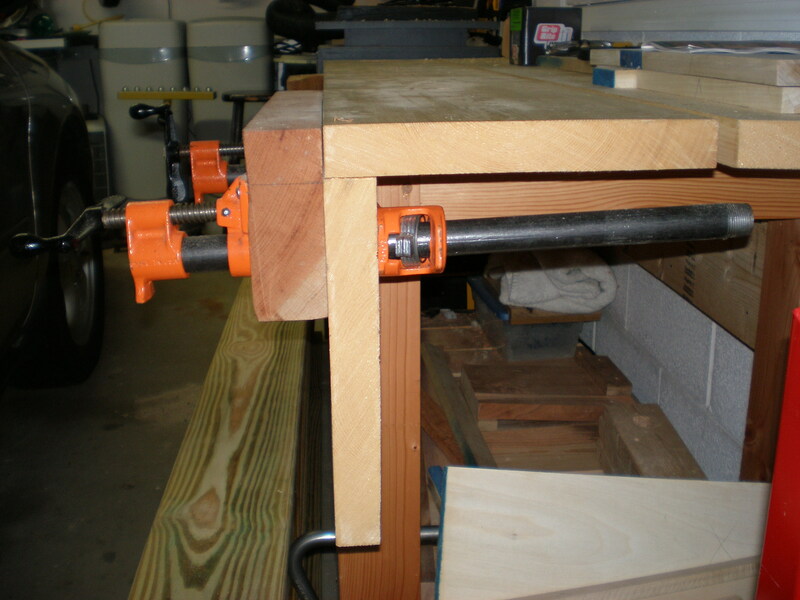 If your bench is wider, you could go with a longer length, giving you a greater amount of clamping width in the vise. Once I installed the 18″ pipe, I attached the clamp set to the back of the front apron with screws. I did the same to the part of the set that was attached to the scrap piece. 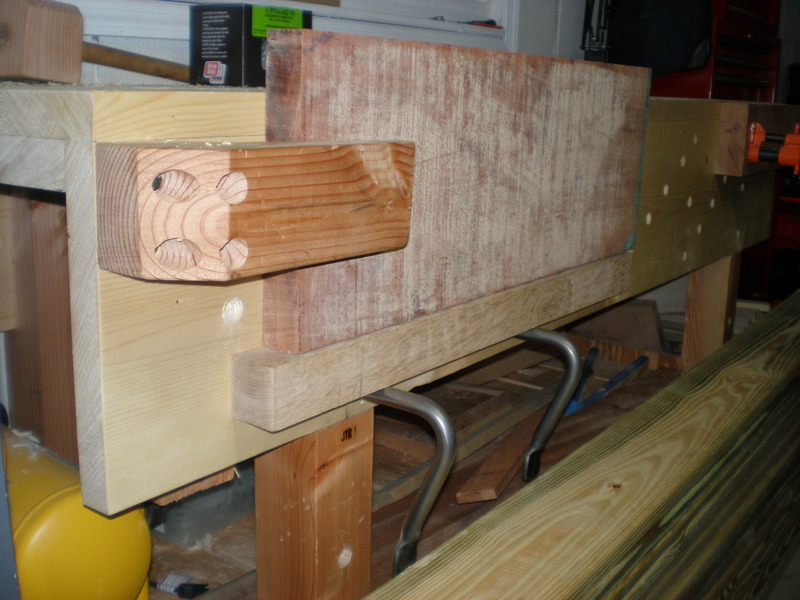 This Moxon vise adaptation holds with incredible strength. It is also so easy to use with the built-in screws on the clamp set. It’s versatile as well…if I need to clamp a wide drawer larger than the width the 18″ pipe can hold, I can just swap out the 18″ for longer pipe. 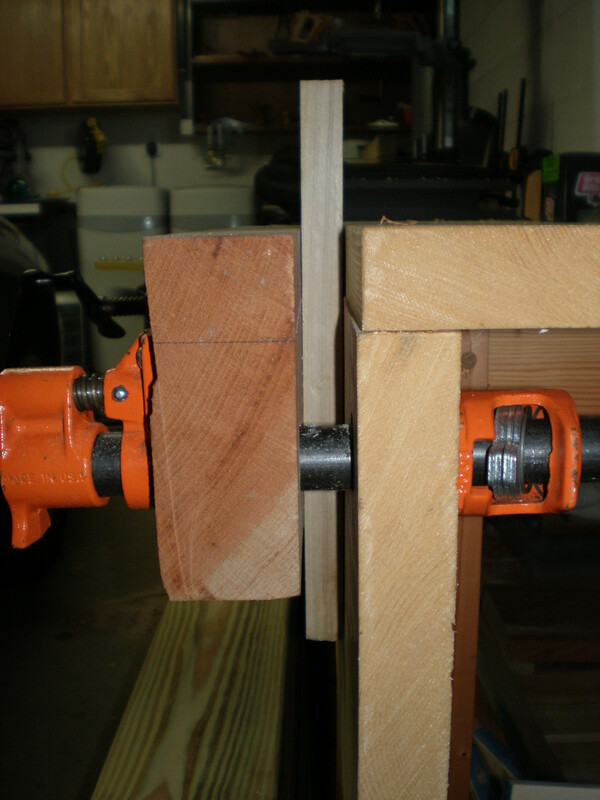 All in all, I spent about $9 on this vise…love it. With these two new additions to the bench, I would say that it is now complete…but you never know. 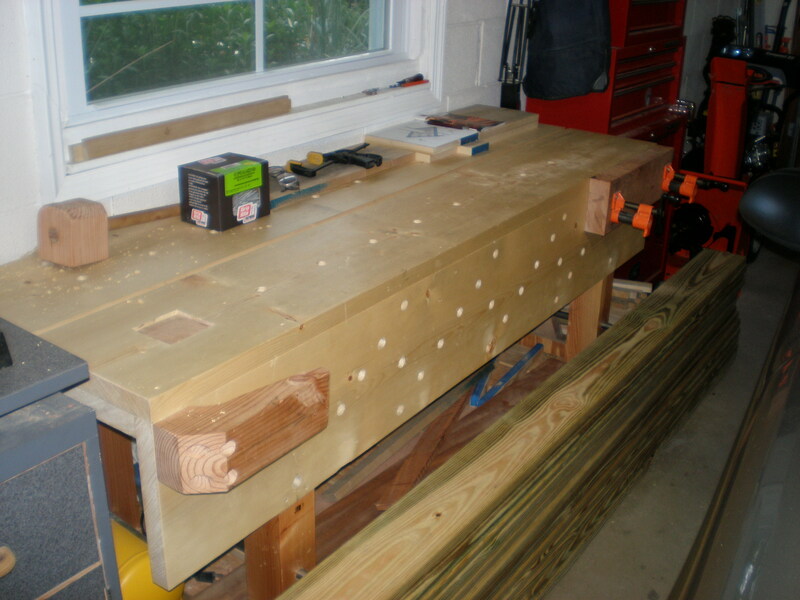 This entry was posted in hand tools, workbench and tagged furniture, hand tools, Nicholson, woodworking, workbench by villagecustomfurniture. Bookmark the permalink.